What is a Virtual Professional Practice Lab? 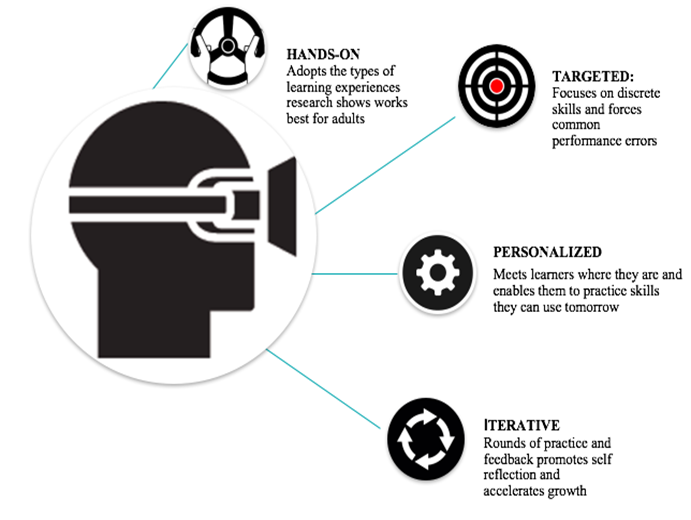 Virtual Learning Environments (VLE) are rapidly demonstrating utility for expanding experiential learning for early and sustained experiences teaching students in the classroom (Dieker, Hynes, Hughes, and Smith, 2008). 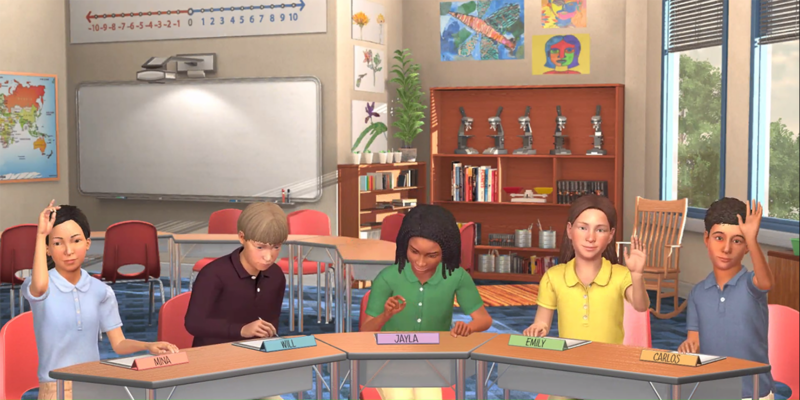 VLEs combine the real and virtual worlds in one environment to immerse the teacher candidate in both the physical and social aspects of a classroom (Biocca, Harms, & Burgoon, 2003; Hayes, 2015). This environment combines both human and artificial intelligence to provide authentic experiences in teaching (Blascovich, & Bailenson, 2011). ﻿VLEs offer safe, flexible and appropriate training conditions to practice pedagogical skills. Virtual reality systems promote situated learning through the immersive experience of interactive objects, environments and processes, (Kulick, Kunert, Beck, & Frohlich, 2017, p 721). This situated learning for general education and special education teacher candidates can begin the process of learning how to collaborate and co-teach, which gives teacher candidates the chance to enhance their skills in a safe, low-stress environment.